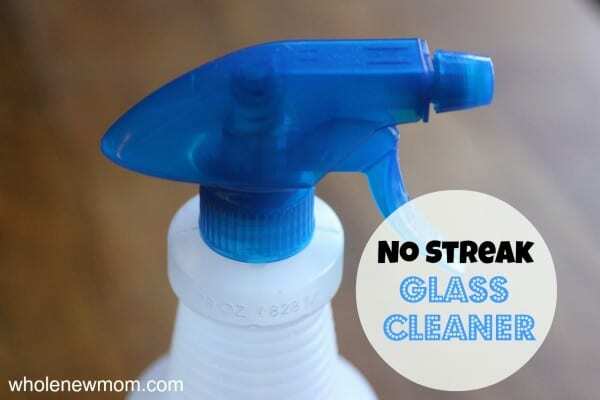 This No Streak Homemade Window Cleaner is super easy to make, is much safer than a lot of the store bought options, and leaves your windows and mirrors streak free. Plus it costs almost nothing to make, so it's easy on the budget too. Our environment is filled with toxins and one of the biggest offenders in the toxin department is household cleaners. So I've been working for awhile to get and keep as many toxins as possible out of our home. I make and use homemade foaming soap, a natural dishwasher rinse aid, homemade “soft scrub” and even soap nuts instead of laundry detergent. Plus, you can save a TON of money by making these things yourself. And it doesn't have to take a TON of time. In fact, most of them are lickety-split. So even uber busy folk can do this and not drive themselves crazy. This Homemade Glass Cleaner Recipe is a case in point. It's simple. 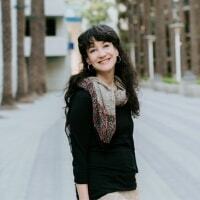 Since my childhood, I have been plagued with chemical sensitivities. Truthfully, I've always been sensitive to a lot of things, but some chemical smells (think “off-gassing”) and artificial fragrances are one of the worst. For as long as I can remember, I would get light-headed and feel “woozy” just walking down the detergent and house cleaner aisles at the grocery store, or walking through the perfume section in a department store. Even walking outside when people are running their dryers bothers me. The smell of the VOCs in the dryer sheets is just terrible (and terrible for you). So–for a long time now, I have shunned the use of commercial home care products. Since I'm a pretty simple gal about DIY cleaning products, mainly I was trying to get by with only vinegar and water. But sometimes you need something more. Anyway, even if these chemicals don't make you feel bad, there is a lot of evidence that they aren't healthy, so it's a good idea to do what you can to remove them from your environment as much as possible. In fact, you really should do what you can to remove toxins from your life to improve your health. Either way, making your own DIY Glass Cleaner is a breeze. Do you really want these things in your home? Yes, that is what is in one of the more popular glass cleaners on the market. Ick. You can make your own cleaner for way less money than you would spend on a commercial cleaner. Even if not, I would still prefer to make my own for the other benefits. See the end of this post to see how much you can save. Do you really want to add these toxins to our already toxically-overloaded environment? I am convinced that one of the main problems regarding the onslaught of autism, auto-immune disorders and cancer is the prevalence of toxins in our world. Let's do what ever we can, within reason, to help clean things up for us and for future generations. Every time you can use a toxin free product over a toxin laden one, you help the environment. Now, I used to use just plain vinegar to clean our mirrors and glass. Truth be told, we didn't really clean our windows often. Just didn't really think about it. We would put some plain vinegar on a piece of newspaper and wipe it all over the mirror. It worked pretty well, but it did leave some streaks that were a little hard to get off. But in a pinch, it works well. This cleaner, however, is great. I found it on a number of sites all over the internet and I must say, it is a real winner. This cleaner does contain isopropyl (rubbing) alcohol, which some people may wish to avoid, but I don't have a problem with. 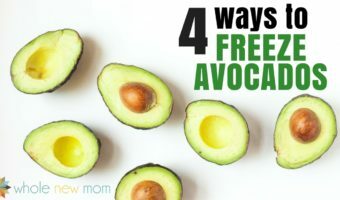 I'd love to hear your thoughts on that….and I did find another promising recipe that costs quite a bit more money to make and has no isopropyl alcohol. Maybe I'll give it a whirl! 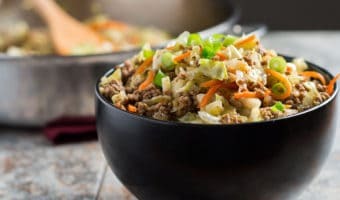 By the way, I discovered this recipe on several sites, so hard to know where it came from originally. What Does the Cornstarch Do? 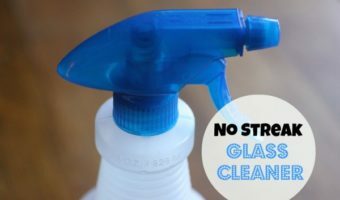 One of the things you'll notice in this formula for Homemade Glass Cleaner, is that it has cornstarch in it. Huh? Are you with me in wondering what it's doing in there? On a microscopic level, glass is not perfectly smooth. When you spray water on it, the water molecules get caught in the pits on the glass surface. Water also clings to itself through hydrogen bonding – the hydrogen atoms from two molecules cling together. Water stuck in the glass + water stuck to more water = streaking. Cornstarch (or dish soap or oil-even a couple drops of essential oil) disrupts the hydrogen bonding, thus preventing streaks! Cool beans! A DIY house cleaning recipe and science lesson in one! How Much Can You Save Using this Homemade Window Cleaner? Cornstarch: A local Midwest grocery chain has it for $1.39 right now. If the Tbsp per pound info I got is correct, then the cost for 1 Tbsp is about $.04. Water: I am just going to call this $0.00. The current approximate cost per gallon in my city is $.002 per gallon :-). So – it costs a total of $.33 to make 2 1/2 cups of Glass Cleaner. Cost of a popular brand on the market? $3.43 on Amazon. I had to do some fancy math to get the cost per ounce, but this is what it costs for 2 1/2 cups (20 oz). So you save over 90%! How Can You Use Homemade Window Cleaner? – Clean Your Windows :-)! Before you try making this Homemade Window Cleaner, here are some helpful tips to ensure it works well for you. – Shake well before using since the cornstarch might clog up your spray nozzle otherwise. – Allergic to corn? I'm sure other starches like tapioca or arrowroot will work as well. – You can use microfiber cloths or rags to wipe your surfaces clean. I prefer either those options or newspaper to paper towels since paper towels leave lint and are more wasteful. – Make sure to label your bottle so as you make more and more non-toxic home cleaners you will know what is what :-). – Another great tip from a reader: Add natural food coloring to the bottle so kids will know it's not water. Beet juice (from canned beets) is one inexpensive natural color or you could drop a bit of powdered beet juice in as well. I think that would work great..
– This handy dandy Chalkboard Contact Paper is great for label making. Some readers have had streaking issues. It's possible that this is from impure essential oils or hard water. If you have streaking issues, please do share in the comments what brand of essential oils you used and if you have hard water. Thanks! 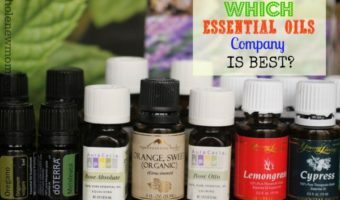 I recommending only using pure essential oils even for house cleaning, because you breathe in the fumes from the cleaning products and you don't want to be breathing in impurities. Another tip from a reader–to avoid streaking, use two cloths–one to wash and one very dry cloth to dry. You can definitely use this Homemade Glass Cleaner on your eyeglasses, but only if they are plain glass. If they are coated, avoid using this since alcohol will cause crazing (small surface cracks) in poly carbonate plastic. Additionally, it can also cause the lens coating to deteriorate, resulting in less durable glasses that are easily scratched. A good glass spray bottle or quality BPA-free plastic spray bottle. 3. Spray onto glass surface and wipe clean. – Note: I heard from a reader that vinegar can damage marble, so be careful using this around / on marble surfaces. 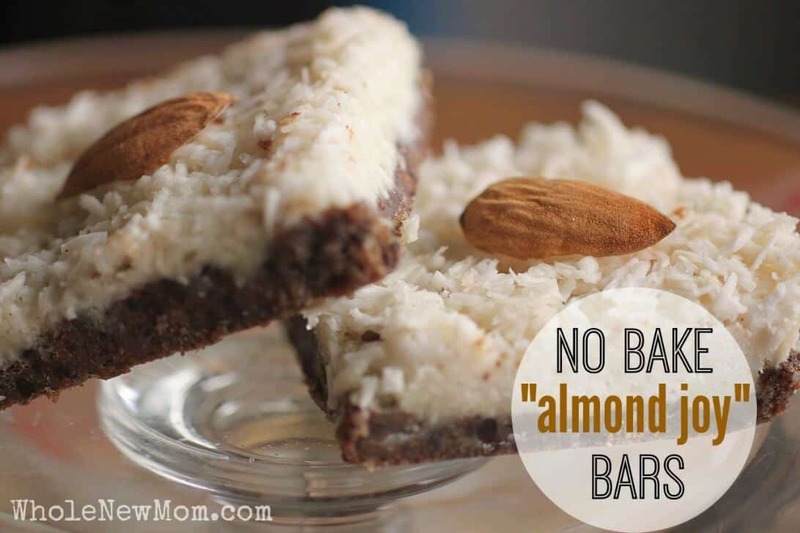 Let me know what you think of this homemade window cleaner recipe! What do you use to clean your mirrors and windows? 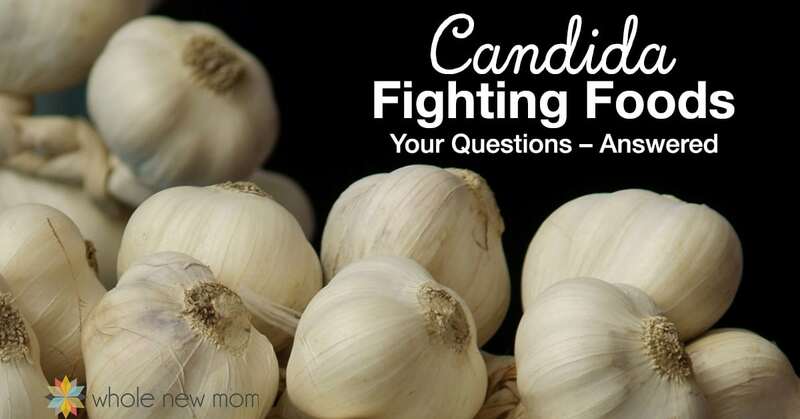 What Foods Really Fight Candida? duh. Reverse osmosis should be good. :). I didn’t use that w/ my glass cleaner but that’s a great idea – thanks! Always use distilled water in your homemade cleaning products to keep them from growing bacteria. Thanks! I use RO which I assume is close to being as good, eh? One of my clients supplied me with her own homemade window cleaner. It was just like this. I do not know if she had the cornstarch in it..but recall her telling me the other stuff. It worked like a charm. 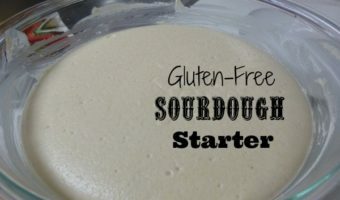 I have searched high and low for her recipe and thank God I found this site. Adrienne, Thank you so much for this wonderful solution. It worked so well that I wrote a post about it and included the link to your sight on my post. 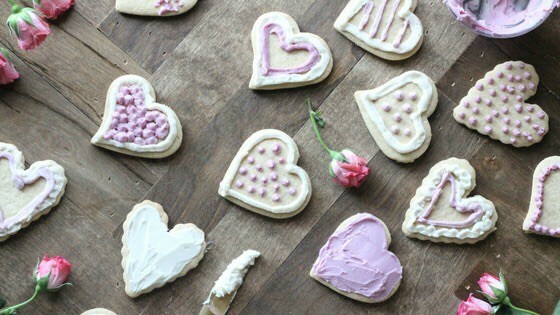 I also posted this on another blog – Heavenly Homemakers, for things we are thankful for. This solution worked so well – we now look forward to cleaning our mirrors and windows. Thanks again! Thanks, Ronda! I am glad it blessed you! Adreinne, What a simple and inexpensive way to clean our windows! I will have to try this out. We are almost out of our current cleaner. It is all natural but expensive! Thanks for sharing with Fellowship Fridays!